“Fortnite: Battle Royale” has become wildly popular. Michael Rich, a pediatrician and director of the Clinic for Interactive Media and Internet Disorders at Boston Children’s Hospital, was talking about the impact “Fortnite: Battle Royale” — a cartoonish multiplayer shooter game — is having on kids, mainly boys, some still in grade school. A year and a half since the game’s release, Rich’s account is just one of many that describe an obsession so intense that kids are seeing doctors and therapists to break the game’s grip, in some cases losing so much weight — because they refuse to stop playing to eat — that doctors initially think they’re wasting away from a physical disease. The stress on families has become so severe that parents are going to couples’ counselors, fighting over who’s to blame for allowing “Fortnite” into the house in the first place and how to rein in a situation that’s grown out of control. Video games have been catching the blame for just about everything for decades. Parents worrying about kids spending too much time playing video games isn’t new. But a few significant factors have combined to make today’s games harder to stop playing. Better technology has made the games more interactive, more engaging, and more artistic, said Douglas Gentile, an Iowa State University psychology professor and coauthor of the book “Violent Video Game Effects on Children and Adolescents.” More insidious, game makers have taken a lesson from slot-machine designers and started employing a variable reward schedule, according to Ofir Turel, a professor of Information Systems and Decision Sciences at California State University Fullerton. In the case of “Fortnite,” the psychological manipulation combines with the game’s flashy colors, its many potential plots, and the element of social interaction to stimulate the brain and train it to “crave” more, he e-mailed the Globe. “Fortnite” has been likened to a cross between “Minecraft” and “The Hunger Games.” Some 200 million people have played, but if you’re not one of them, here’s how it works: One hundred competitors are dropped on an island, where they run around finding weapons and materials to build walls, ramps, and floors that can protect them from other players. As the game progresses, the game field gets smaller, putting opponents in ever closer range. The last player — or players, if friends are playing as a team — wins. 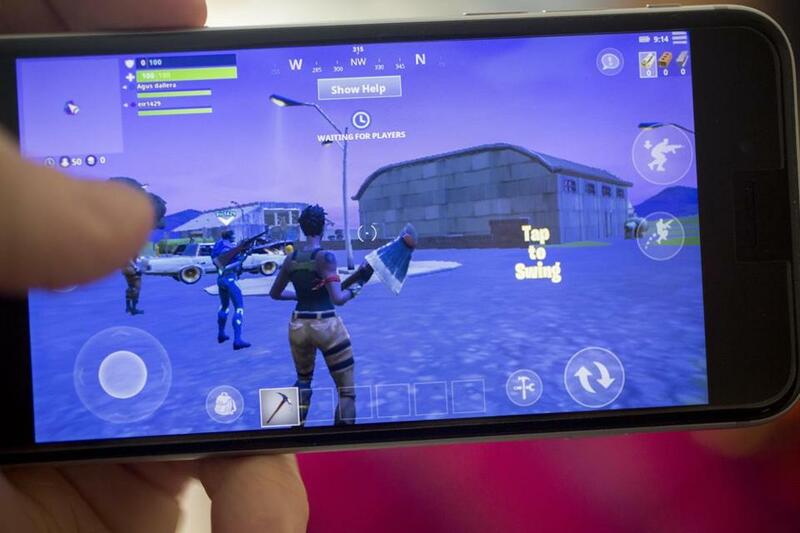 “Fortnite” is free, but more than 68 percent of players make in-game purchases — like pickaxes, dance moves, and outfits to personalize their characters — and the average player who makes purchases has spent $84.67, according to a 2018 study by the financial services firm Lendedu. Epic Games Inc., creator of “Fortnite,” did not respond to Globe e-mails. As “Fortnite” scare stories proliferate — a British behavioral specialist likened it to heroin — many parents wonder if any child can get sucked in. One of the BCH clinic’s patients is a Brookline boy who secretly used his father’s credit cards to make thousands of dollars of in-game purchases. “My sweet mama’s boy became angry and disrespectful,” said the boy’s mother, who spoke to the Globe on condition of anonymity to protect her family’s privacy. As the game’s pull escalated, he refused to do anything but play. He wouldn’t go outside. Wouldn’t go to sleepaway camp. Didn’t even want to go out for his own birthday dinner. Gaming can lead to weight gain, as kids spend hours sitting on the couch. But Tara McCarthy, a clinical nutritionist with Boston Children’s Hospital, is seeing boys who won’t take a moment away from “Fortnite” to eat. In each case, the patients came to her after a doctor found unexpected weight loss and, concerned, ordered follow-up evaluations. But that can be harder than it sounds. Samuel Roth, a clinical psychologist in Newton, described a scenario that will sound familiar to many parents. “The parents make a deal with the kids,” he said. “ ‘You can play for this long,’ and the kids are agreeable — they’re eager to start playing. As for the Brookline boy who stole his dad’s credit cards to fund his gaming, he hit rock bottom on a family trip to New Hampshire, in the summer of 2018, when he refused to go boating. While the rest of the group was enjoying the lake, he tried to break into the family car with a hammer to get his electronic device. 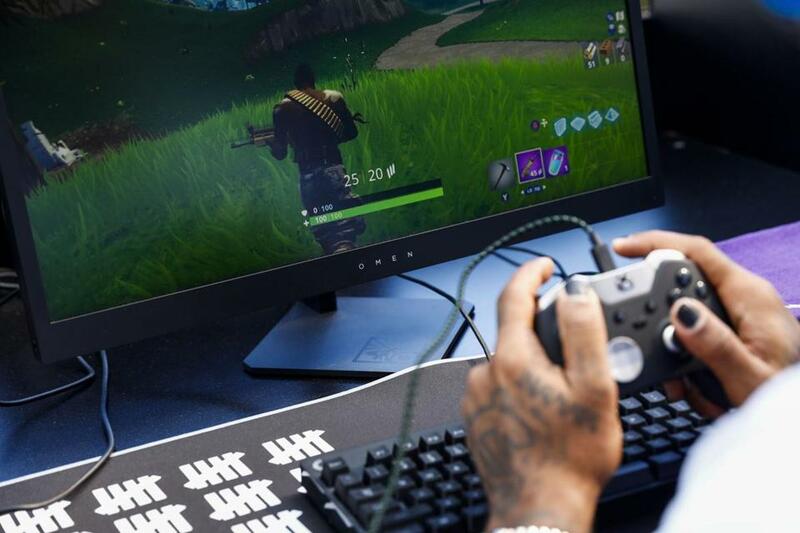 The incident lead to an 11-day inpatient hospital stay, where he got therapy and quit “Fortnite” cold turkey. Looking back, even he is baffled by the power the game held. “It’s hard for me to understand why I got to the point where I was playing it so much and what I’d do to be able to play,” he said.